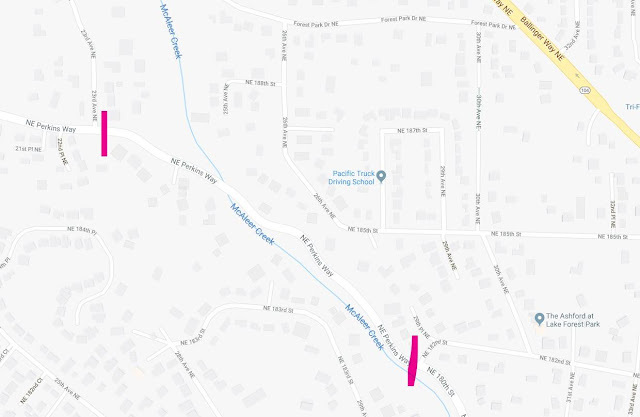 LFP Police have reported that NE Perkins Way is closed from 23rd Ave NE to NE 182nd Street. Several trees have fallen over and many are overhanging causing a safety concern. Please find alternate routes if needed.